Divock Origi came on to score a dramatic late winner for Liverpool over Everton. An even Merseyside derby had been heading towards a goalless draw when, in the sixth minute of stoppage time, Virgil van Dijk's skied shot was parried by Jordan Pickford on to the bar and fell for Origi to score on his debut this season. 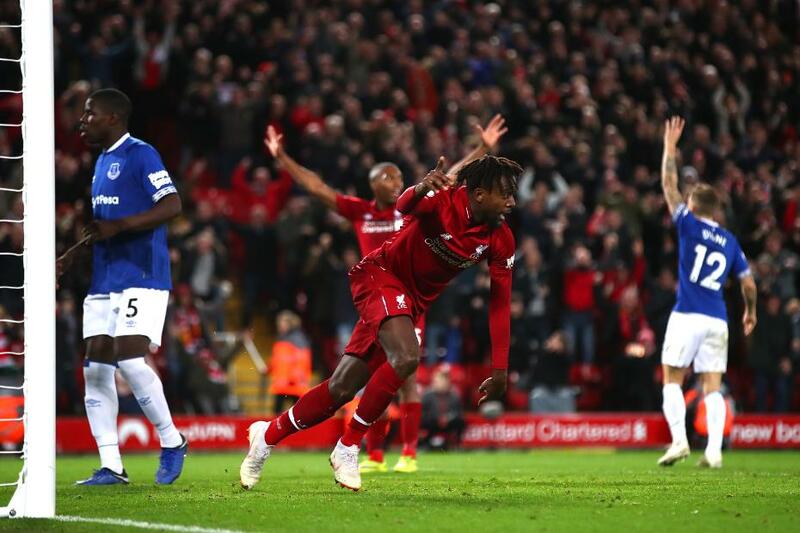 In an enthralling first half, Everton had threatened first at Anfield, Yerry Mina heading wide from seven yards. Alisson saved Andre Gomes's header from point-blank range, before Joe Gomez cleared the rebound off the line. At the other end, Pickford denied Xherdan Shaqiri when through on goal. Liverpool mounted the pressure in the second half as Salah and then Mane each shot wide. Shortly after shooting against the bar from close range, Origi did not make a mistake with his second chance. The win keeps Liverpool second, two points behind Manchester City, while Everton stay sixth on 22 points.